Let’s talk about theft. 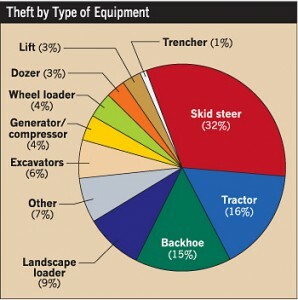 The possibility that inventory might be stolen from your dealership may not be top-of-mind for you on a daily basis, but consider this: in 2012, loaders – skid steers and backhoes – were the second-most-stolen heavy equipment machines, accounting for 18% of total thefts. The National Insurance Crime Bureau (NICB) says loaders are popular targets with thieves because they’re easy to transport. But they’re by no means the only targets. 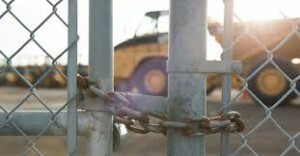 The NICB reports heavy equipment theft actually dropped 7% between 2011 and 2012, and declined 19% since 2008. But here’s the bad news: only 20% of stolen equipment was recovered. The NCIB says that cost contractors in the neighborhood of $300 million. Theft can cost your dealership dearly, too. What if one of your customers was about to take delivery on that stolen equipment? Its loss will have a significant financial effect on their business, and your reputation could suffer as well. You may be surprised to learn that social media can help recover stolen equipment. Not long ago, McGuire and Hester, a California Bay Area construction company, discovered two excavators had gone missing from one of their job sites. But they got lucky – they were able to recover both stolen excavators, in large part because they put out the word to their social media networks. Their posts brought what they termed a “resounding response,” including one that led police to the stolen machines. 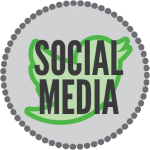 How can you use social media to get help? Do like McGuire and Hester, and immediately tell your friends and colleagues on Facebook, Twitter, LinkedIn or Google+. Make sure you have photos of all your equipment and attachments, so you can post the pictures, too. List your stolen construction equipment on Stolen 911 (http://stolen911.com) a free website dedicated to helping recover stolen property. Your listing will be displayed to anyone searching on Google. You can also use their simple template to create a “wanted” poster you can share via social media and email or print out to post around town, at construction supply yards, anywhere that might help. When was the last time you reviewed your dealership’s inventory coverage? Good coverage is always important, but it’s doubly important if you offer a rental fleet, too. And how thoroughly do you discuss insurance considerations with your customers? They rely on you to help them choose the best equipment for the job, and they rely on your parts and service departments to keep that equipment working. But what is equipment is stolen, from your customer or from your own yard? The right physical damage coverage can make a big difference in your ability to recover from the loss – or to pay for repairs when machinery is recovered but damaged. And sometimes things just break. Top quality equipment will outlive even the most outstanding new-equipment warranty, but as machines age things are more likely to go wrong. An extended warranty that covers their powertrain, their powertrain and also hydraulics or even the entire machine could turn out to be a valuable investment indeed. You know that, but do you always remember to explain that clearly to customers? Recognizing that theft is a real possibility — from your dealership or from your customers’ job sites – is the first step toward prevention. Of course it’s important to discourage theft by doing everything you can to keep your equipment secure. But if the unthinkable happens to you or a customer, the right insurance will keep you covered, and you can always call on social media for help recovering your stolen equipment. 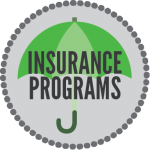 This entry was posted in Insurance Programs, Protect My Iron®, Social Media and tagged Equipment Dealer. Bookmark the permalink. We were born out of the Construction Equipment & Heavy Duty Trucking industry, and are committed to serving that industry exclusively. Our Extended Protection Plans, Digital Marketing Services & Software have been build with you in mind.